Chinook landscaping is proud of the many awards we have won throughout the years of landscaping in Calgary. These landscaping awards mean a great deal to us as it demonstrates that our hard work is appreciated by the public. It also gives customers an opportunity to see that the community at large has recognized us repeatedly for our work, in a very competitive industry. We work extremely hard to make sure our customers are completely satisfied with our work. 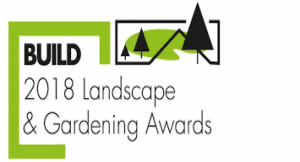 Here are some links to recent awards we have won for landscaping in Calgary. 2018 Voted #1 in the Three Best rated awards. 2017 Calgary Herald Readers Choice award. We utilize the skills of highly trained Foremen who have been on staff with Chinook Landscaping for many years. Trust is an important factor when it comes to working with our customers. Chinook Landscaping has never accepted any deposits or progress payments. Payment is only accepted when we have completed the job and our customers are happy with the finished product. Our customers have told us this policy gives them peace of mind and builds trust with our company. We are very grateful to have worked with so many great customers throughout the years and we truly enjoy helping to create the perfect landscape for them. Although we have received many rewards the most important and memorable reward of all is seeing our customers enjoying the new landscape we have created with them. For your free estimate and landscape consultation please call us at 403-452-8552.